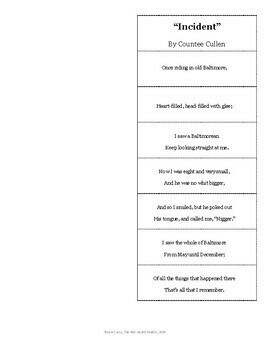 This product will allow your students to easily understand and analyze "Incident" by Countee Cullen by breaking it down line-by-line! Instruct your students to fold the paper in half the long way, and to cut along the black lines into the midline of the paper. They will end up with a long, skinny version of the poem on the front of the flaps, and analysis question inside. 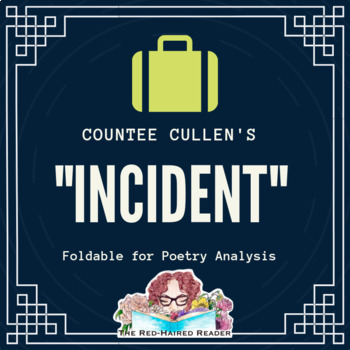 As they read the poem, they will peel back the flap to reveal questions that ask them to analyze the poem for repetition, alliteration, tone, gist, poetic form, theme, and word choice. Please ask if you have any questions!